This is a concept belt which is actually an offshoot from a two belt system we are working on. 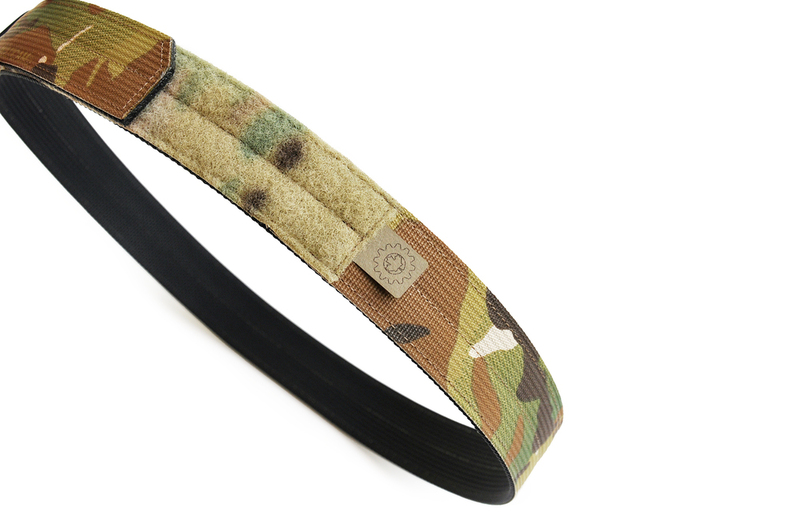 This design is great for a minimalist belt and can be used as a uniform belt or as a low profile EDC option. It's constructed of one layer of 1.5" 4015 webbing and one layer of 1.5" 17337. 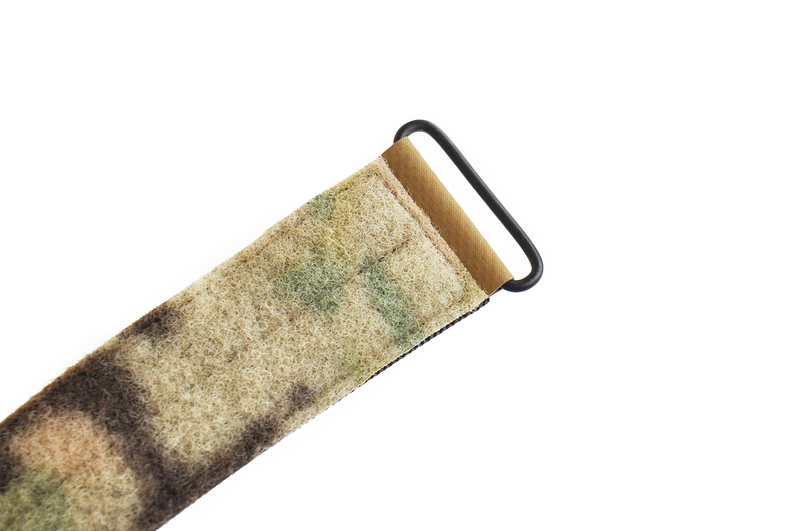 It features a Velcro closure, with an added steel loop to keep the belt end in line. The loop is attached via 16oz hypalon, for abrasion resistance. The hook Velcro is set in 1/16" on all sides to minimize the chance it will protrude out the side and create discomfort for the user.